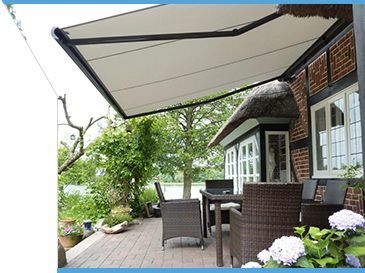 supplying patio and balcony awnings to homeowners across the south east. Formed in 1986, we know how to deliver on quality, experience and customer satisfaction. 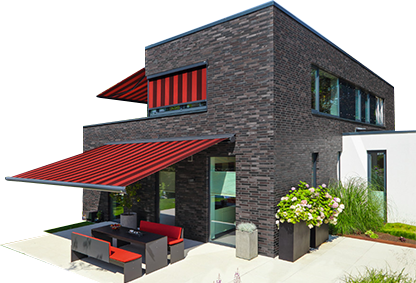 We measure, supply and install all of our markilux awnings, meaning that you get a personal, face-to-face experience with one of our experts. We supply patio and balcony awnings to homeowners across Kent and Essex as well as much of Sussex, Surrey and South East London. With our sister company, 1st Choice Garage Doors, having been formed in 1986, we know how to deliver on quality, experience and customer satisfaction. Being a family run business, we pride ourselves in being friendly and helpful with our customers, to deliver the best service we possibly can. In fact, our expert awning engineers have a customer-focused approach and are dedicated to their craft. We measure, supply and install all of our markilux awnings, meaning that you get a personal, face-to-face experience with one of our expert awning installers. This means you will save the time, effort and money finding someone to deliver and install your awning for you; we do it all! Get in touch with our friendly awning engineers today on 01732 809341 to organise a visit, quotation and measurement of your outdoor area. With such a wide range of features and products that we supply, across three companies, with over 25 years’ experience, you can be sure that we will deliver some of the best customer service in the South East. If you are looking for a new commercial or domestic awning for your property, have a look through our range of stunning awnings and contact our team for more information. We will go through your requirements and provide information on our awning installation services. Based in Wrotham Heath, in the middle of Maidstone and Sevenoaks, we supply beautiful and reliable awnings for homeowners across Kent, Surrey, East Sussex and South East London. We have recently completed projects in Whitstable, Bromley, Beckenham, Erith, Charing, Bexley, Swanley, Tonbridge, Canterbury, Longfield, Broadstairs, Chatham, Sittingbourne, Gravesend, Aylesford, Dartford, Sidcup, Dymchurch, Bromley, New Romney, Bexleyheath, Tunbridge Wells, Ashford, Maidstone, Hollingbourne, Harrietsham, West Malling, Rochester, Sandgate, Faversham, Strood, Orpington, Ashford, Sevenoaks, Hythe, Margate, Herne Bay, Sheerness, Gillingham, Folkestone, Dover, Ramsgate, Queenborough and Sheppey.